The Supreme Court has held that while considering the territorial jurisdiction over a derivative suit initiated to protect the beneficial interest of a company, the issue qua the existence of such an interest can only be decided on the condition that the said company is amenable to such a jurisdiction. 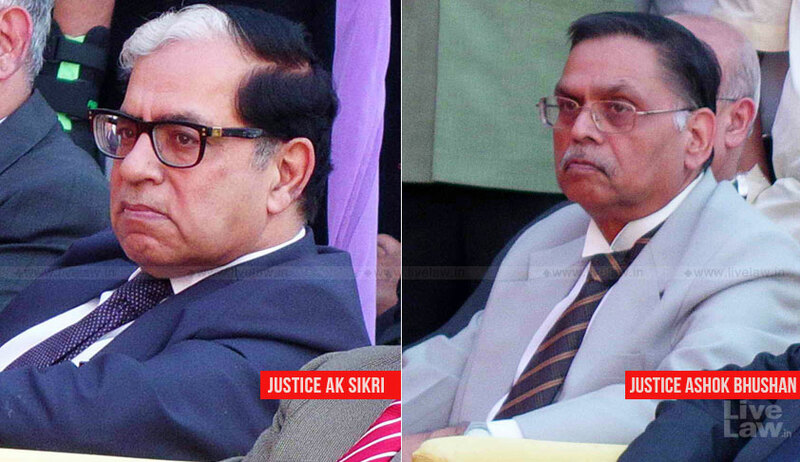 The bench comprising Justice AK Sikri and Justice Ashok Bhushan (Ahmed Abdulla Ahmed Al Ghurair vs. Star Health And Allied Insurance Company Limited) was examining the territorial jurisdiction of the Madras High Court to deal with suit filed by plaintiffs which was in the nature of a derivative action on behalf of a foreign company based in Dubai to protect and declare its beneficial interest in the shares available with the Indian company. Though the single bench of the high court had held that it has the jurisdiction, the division bench had held that it is not maintainable. In the appeal filed by the plaintiffs, the apex court agreed with the division bench reasoning that when the dispute is between the shareholder and the company with respect to the shares held in another, the mere existence of the registered office of the subsequent company is not a factor to clothe jurisdiction. “The High Court is also right in its observation that for applying the principles governing a derivative action one fundamental test has to be passed, viz., such an action will necessary have the sanction of law and this shall have no obligation to a foreign entity having beneficial interest which can be enforced in India especially when there are provisions dealing with such a situation,” it said. The court also observed that the principles of forum convenience would also become applicable in this case and the court in Dubai would be a more convenient forum to decide the dispute between the parties who are residents of Dubai and which revolves around a company registered and situated in Dubai.